Learn how to use the ECAM tool and become familiar with the steps utilities can take become carbon neutral. This training material consists of 9 modules, each focusing on specific learning objectives. The material can be used for self-study and may also be used for providing training. More material will progressively become available over time, so keep an eye on this page if you would like to have access to the latest content. Get an understanding of how the ECAM tool is embedded in the WaCCliM project, and what can be expected of a training. Get an overview of the WaCCliM project and why it makes sense for utilities to reduce their emissions. Description of the WaCCliM project context and partners. This module offers a brief introduction to the role of energy efficiency and carbon emission reduction in the urban water cycle. The main sources of emissions will be identified and related to the operation of water utilities. The significance of adopting a holistic approach will be presented. This presentation elaborates on the roadmap step ‘Why decarbonise?’.Drivers on a local and global context are identified. An overview of the different stages of the water cycle and the associated emissions. The WaCCliM Roadmap provides an overview of the steps and actions that water utilities can take towards energy efficiency and carbon neutrality. Navigate through the knowledge platform for an interactive experience of the different steps and additional resources. The Energy efficiency and Carbon Assessment and Monitoring (ECAM) tool will be introduced. Its purpose, specifications, technical potential and limitations will be discussed. Additionally, an overview of the ECAM tool structure, including aspects like performance indicators (PIs) and variables. 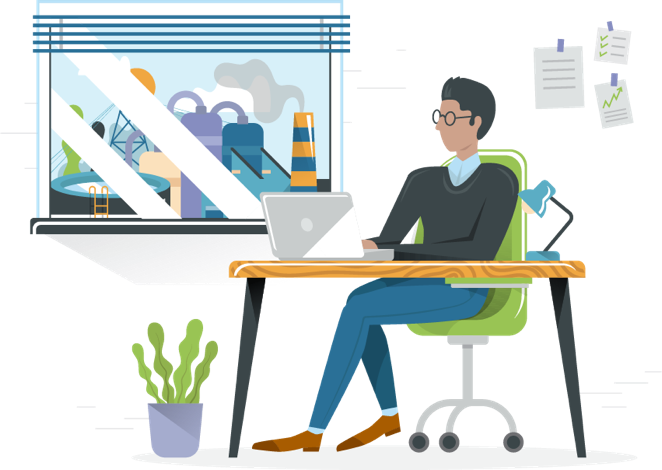 An example of the initial assessment will be provided as well as the input datasheet, which is fundamental tool for the initial steps of the analysis. 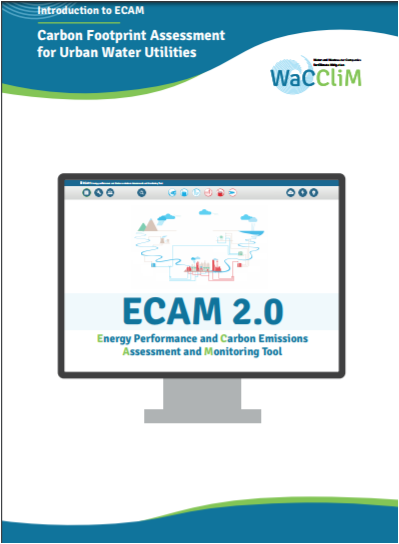 This manual offers an overview of ECAM 2.0, the Energy Performance and Carbon Emissions Assessment and Monitoring tool, to guide first-time users through the basic elements of the tool and get started with the assessment. This manual provides a detailed explanation on the theoretical background of the second version of the web-based “Energy performance and Carbon Emissions Assessment and Monitoring” (ECAM V2) tool. The main assumptions and the key considerations that form the basis of the tool are explained. An overview of variables, performance indicators and related equations, as well as benchmark values and references are given. Additionally, the manual helps users with evaluating different scenarios for specific system configurations. Dive deeper into the ECAM tool and learn how to perform a Detailed GHG assessment, which can be used to establish a baseline. Data can be inserted for each stage of the urban water cycle and in addition also at facility level. Starting from a case study, this session will elaborate on the most relevant concepts for drinking water and wastewater utilities and will allow for the development of your own energy assessment. Water efficiency and the impact of sludge management can be assessed with the ECAM tool. Get a better understanding of the different options available to assess your system with this module. The definition of Water efficiency is laid out and its assessment in ECAM is detailed. The definition of sludge management is laid out and its assessment in ECAM is detailed.